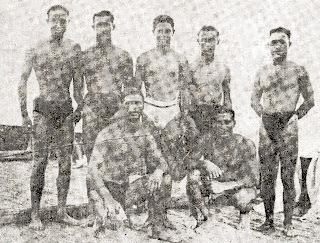 The team of “Pallesbiakos”, based in the island of Lesbos, Greece in 1931. Standing L-R: G. Vasiliadis, M.Malidis, L.Kiskilis, V.Saroglou, G.Papaioannou. Kneeling L-R: D.Nakelis and S.Konakas.